In these modern times where everyone and everything move at a fast pace, convenience is key. Services and products that offer convenience are gaining more love from consumers. For a generation that is time poor and information rich, any innovation or technology that helps save time and energy is much appreciated. Comscore's 2017 Cross Platform Future in Focus reports that an individual spends an average of over four hours a day using a smartphone. From communication to seeking information and for leisure, more and more people rely on smartphones to enrich their lives. Huawei takes it a step further. Their Mate 10 series is loaded with features to provide a 24-hour companion, no matter the time or situation. Unlike other smartphones, it has a built-in Neural Processing Unit embedded with a machine-learning algorithm. The algorithm enables the phone to learn how a person uses it. It then allocates and manages energy and adjusts settings based on those behaviors. Its whopping AI-powered 4000 m-Ah battery also allows fast and efficient use of various features and applications. It is also packed with other features that can help save time and increase productivity. Split Screen Feature – allows users to take notes while reading emails, having a conference or watching news online. 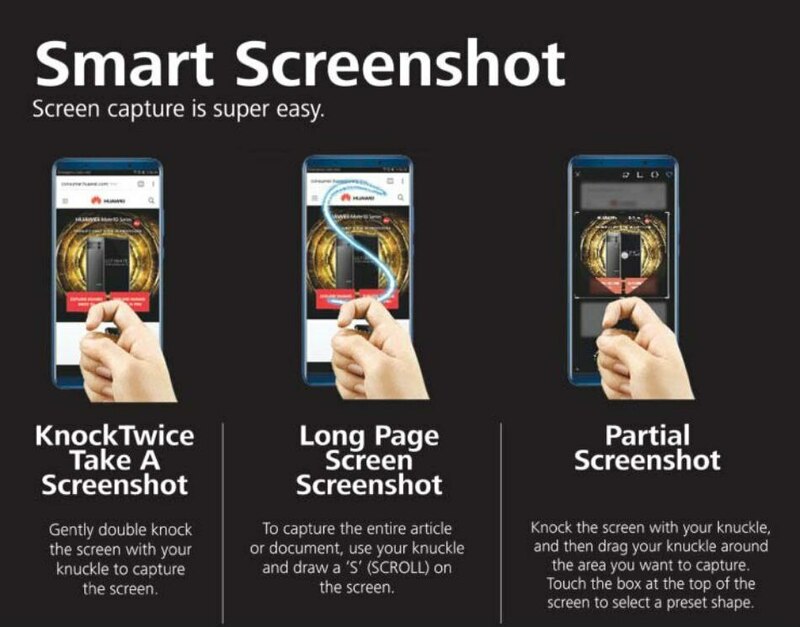 Smart Screenshot – by simply enabling this feature in the settings, users can immediately take screenshots by just tapping the screen with their knuckles twice. Ever experience taking multiple screenshots of long articles or emails you have to document? By just drawing an S with one's knuckle, users can take scrolling screenshots. 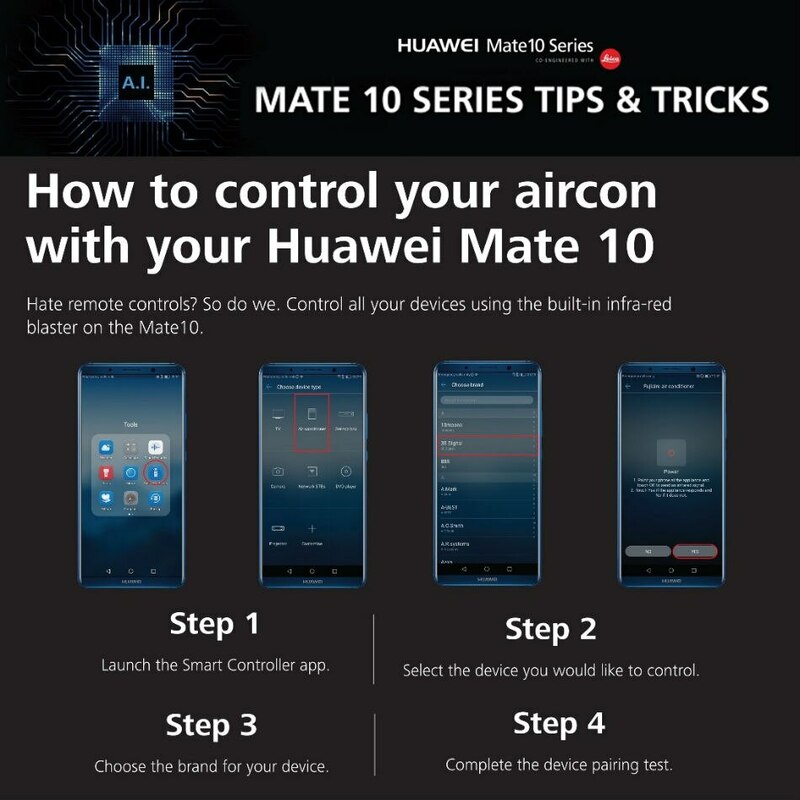 Smart Controller – The Huawei Mate 10 series includes an IR blaster which can be used to sync to various devices in one's home such as the TV and even an air-conditioning unit. Users will never need to waste time looking for misplaced remote controls again. 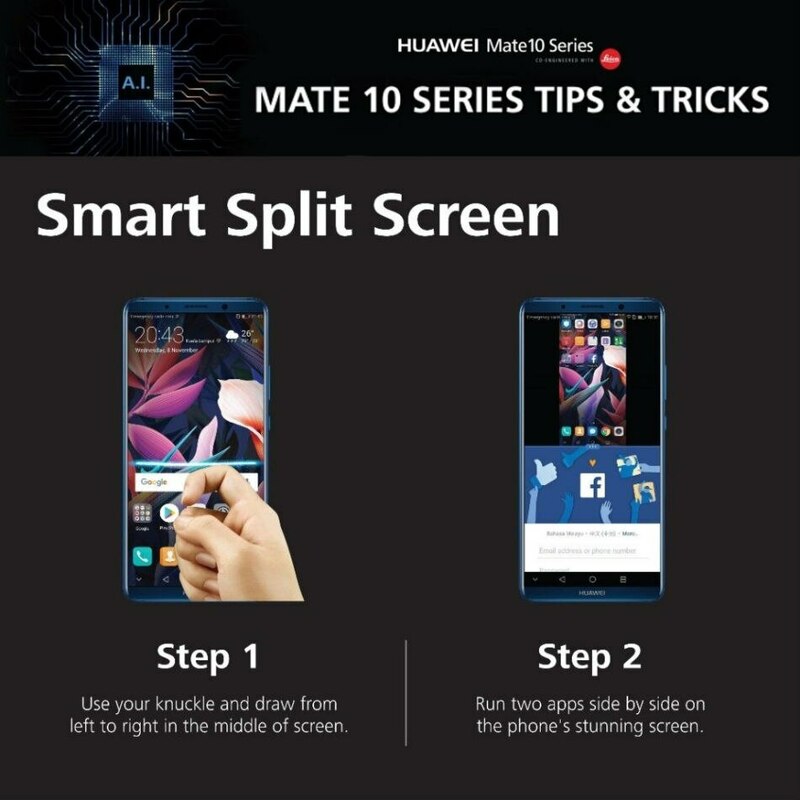 Desktop Mode – One unique feature of the Huawei Mate series is the ability to be used for presentations. 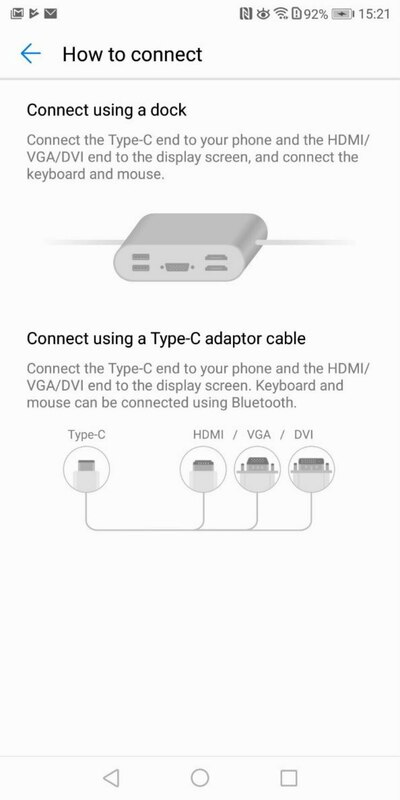 By using a Type-C adapter cable, one can use the smartphone to present directly to clients or colleagues. Once connected, the screen can be used as a mouse pad in order to operate and navigate through files. There is also no risk of messages and calls interrupting meetings. Once the phone is on Desktop mode, the projected screen will not show any messages or calls. This is very useful for people who are virtual employees, and entrepreneurs who are always on the go. Overall, this flagship is a well-rounded smartphone, with a sleek, high-end design that appeals to a wide variety of people. The phones are loaded with features that aid users with their everyday activities. The built in NPU chip powers and supports phone usage, thereby enhancing the experience with all the applications and features.